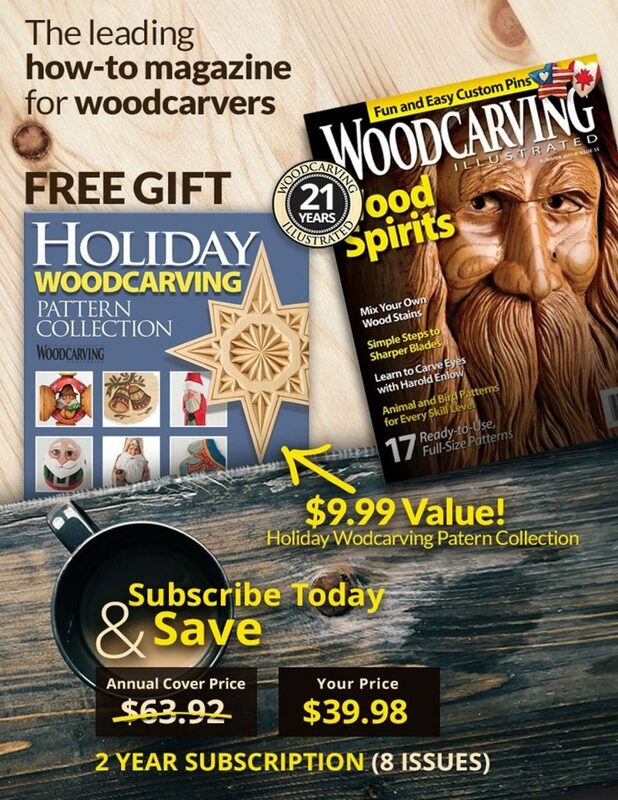 Over the past 40 years, Floyd Rhadigan has taught thousands of people how to carve. His clear instructions and appealing designs have become as well known in the carving world as his sparkling eyes, leather vest, and long hair, and his speedy knife and tireless travel schedule are legendary. A dedicated instructor who offers classes in his home workshop and at venues literally coast to coast, Floyd teaches an average of 60 classes each year—more than one a week. 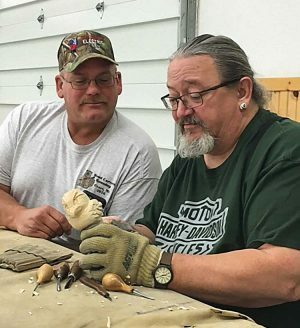 He has also shared his designs and techniques in three books and many magazine articles, organizes an annual carve-in attended by hundreds, and sells an extensive line of roughouts used by carvers of all skill levels. Floyd carved every project and every idea in Harold’s many books. “I started to develop my own style—a mix between Ozark and flat-plane Scandinavian carving,” Floyd said. Rather than carving the cowboys and hillbillies standard to those styles, however, Floyd leaned toward the fantasy genre. 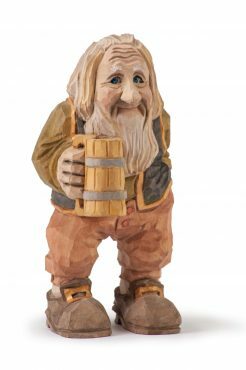 His interest led him to carve figures like Bilbo Baggins and orcs from J.R.R. Tolkien’s The Hobbit and The Lord of the Rings. 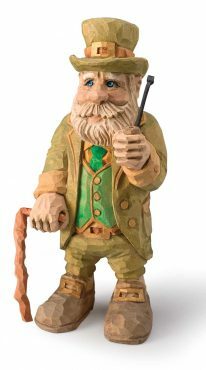 He has carved dragons, elves, trolls, and wizards, as well as classic cartoon characters, such as Marvin the Martian and Popeye. Fulfilling another personal interest in recent years, he has also produced respectful caricatures of Civil War soldiers and modern military personnel. 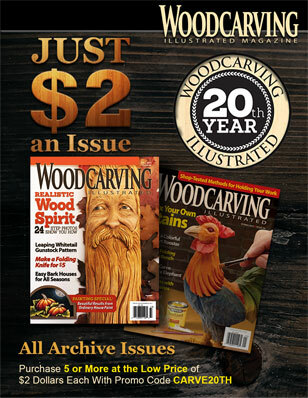 In 1976, Floyd began teaching carving at an adult education program. As his work became better known, he began teaching and participating in woodcarving shows around Michigan and, later, the country. (He notes that he particularly enjoys teaching his students how to carve a face and loves to show his method for painting eyes.) Eventually, he was teaching carving full-time and building an impressive inventory of both roughouts used by carvers of all skill levels. In addition, his original artwork can be found in the homes of collectors worldwide. 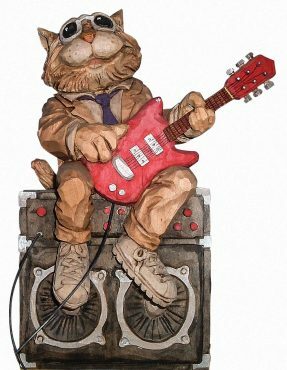 In 2005, Floyd won the best of show award at the Caricature Carvers of American (CCA) Carving Competition. A year later came what Floyd calls “the biggest honor in my career” when he was invited to join “the club all my heroes belong to, the Caricature Carvers of America,” Floyd said. In 2011 and again in 2013, Floyd was voted president of the CCA. He remains an active member of the organization. 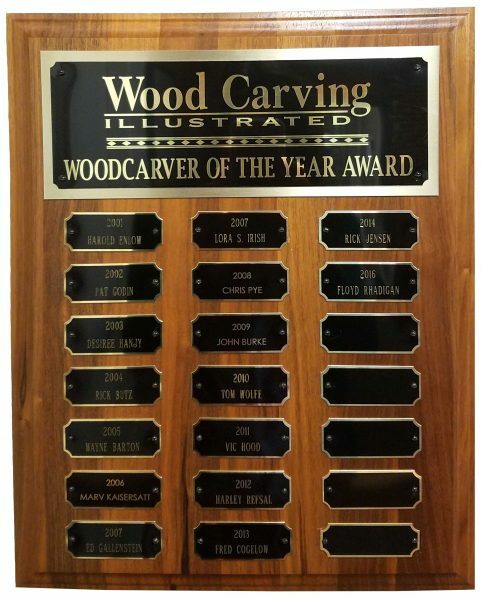 The newest Woodcarver of the Year is profiled in the Winter 2016 issue of Woodcarving Illustrated. Check out the issue HERE or at your local newsstand. CLICK HERE to visit Floyd Rhadigan’s website. CLICK HERE to purchase books by Floyd Rhadigan.